In fact, for the Dating App, I also refused at the beginning. I don't know if my thoughts are too old or I think my mother's thoughts will be too old. I used to think that looking for an object is a natural process. Now think about it, when I go to school every day, I go to bed and sleep, as if I could fall down like a boyfriend in the sky. Maybe if you are studying for a major in engineering, it is a school with a male to female ratio of 1:5 and a school where 90% of boys also like boys. My mom is the enlightenment of almost everything I have. Learn piano, practice words, learn English, without my mother, there is no me today (I know this is nonsense). Unexpectedly, the dating site is also the secret that my mother gave me. I also clearly remembered that when she called her in the corridor, she said that she went to a hundred people's blind date meeting in Lily. I was in a mess. It turns out that my mother is not so conservative. Although my mother has not found a suitable wife until now, my whole person has changed a lot. I have seen countless plays by people who are known as the American TV series. At least in the same age partner, I said that the second most American drama I have ever seen, no one dares to call the first. How much English has improved is not the focus of today. Of course, I have not been completely whitewashed, but the dating culture in the United States can be said to be deeply rooted in my heart. After coming to the United States, before the start of the graduate school, a person in a strange city and country, no friends, alone by subway to the downtown to go through the entire downtown area. When I was bored and ruthlessly brushing Facebook on the subway, I popped up the advertisement of Tinder, who had long been famous. After I downloaded it, I left the right and left and left. So the first boyfriend after coming to the United States. The details in love do not seem to be the focus of our day. It is omitted here that a thousand words are not suitable for children. There have also been cycles of quarreling - breaking up - going back to Dating App - dating other people - falling in love - breaking up and dating other people, etc. Until I met this one. I finally realized that he loves me more than I love him. It turns out that the original face of love is like this. It is he who wakes up every day and must not forget to say good morning and good night before going to bed. Every time he eats something delicious, he must not forget to add it to our To Do List and take me to eat next time. It is he who will naturally introduce me to his family and friends who have been for more than ten years. It is he who says that I love you many times every day - it seems that I have not heard this sentence for a long time. Of course, these are not the focus of today. You may say that I have too little experience. You don't know that I make up a makeup on the subway after work every day, stepping on the high heels, and seeing one boy who looks good but always has no match. You may say that I am too lucky to meet the person who loves me. You don't know that I was still unable to forget the maidenman's leg injury of the former fiancee, and one person burst into tears in the car. You may say that I am too wave. Then I laughed that you are worried that even your bottom line can't hold it, or you don't know that there are laws that can protect yourself from harm. I just learned to look at people in the process of dealing with these passengers, become a better self, and welcome the moment of love at first sight. The Buddha said: A thousand times in the past life, in exchange for a passing one in this world. In this world, how many people do you have to screen to meet the right one? Recently, it seems that many campus love movies have been released, but today's fast-paced life is doomed to have no way to meet the outstanding boys/girls outside the inherent life circle. And when you finally pull yourself out of bed, computer, wash your hair, put on a beautiful dress, and go to a social event, you find that half of the people already have a flower (grass) owner. The remaining half are mostly old age, hobbies and you are not at all. Then, if you are going to screen out those who will not be your boyfriend before you go out and spend your time, and even if the chemical reaction between the two people is not strong enough, it is very likely that you will get a good friend. How? So I will encourage each of my single friends to use the Dating App. Of course, different apps are suitable for people with different needs. The following is a summary of the experience of Mu Yitian and Vivian. Although it is a cannon artifact, there is no lack of true love. One of my favorite things about old beauty is that they go straight. Basically, a few words will clearly explain their intentions. Invite you to Netflix & Chill and you know that he only wants to hook up. And in the profile wrote that you don't want to hook up, you know that they are also looking for true love. Once upon a time, the Tinder Profile was to win by the face. Since the school and the company are also showing up under the photos with the age, I feel that the efficiency has improved a lot. I just often accidentally slip the little brother who looks good. If you are not willing, if you only have 10 knives a month, you can buy it and regret it. If you make a mistake, you can draw it back. But most of them are old and beautiful, and there are very few Chinese. If you only want to interact with the Chinese, then you have to make a lot of left-handed. The Dating App, which is highly recommended by individuals, is also very well known among Americans. The number of registered people is also relatively large. As long as the girls complete the profile, they can wait for the boys to wait for the same as me, and the free version is absolutely sufficient. If you spend 20 yuan for a few dollars, you can buy A-List for half a year. You can visit it invisibly, profile to the front row, and so on. If you are interested, you can try it. What's interesting is that my blue friends with my girlfriends are all here, and it directly caused me to feel good about this app. Personally feel that although there are all guns, but the boys on OKCupid are mostly more serious. The shortcoming of this app is that the match function is general. I don't know why the brush is going to brush up the old people, and there are fewer Asians. It is even harder to find Chinese people, but this is not the fault of others, but the Chinese straight man. 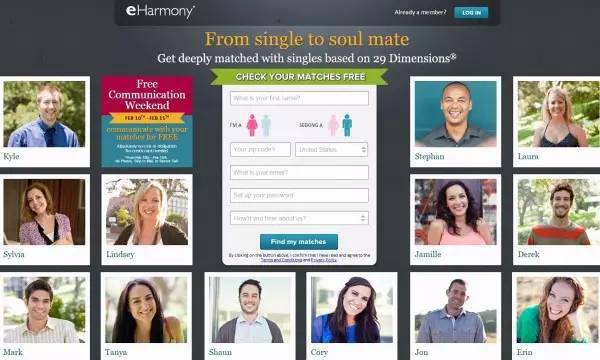 As long as you don't plan to shoot, you will rarely want to register a Dating App. This involves the traditional values of the majority of the national men and women. This is a software that I personally like very much, and it is easy to use. Here girls are coffee, boys are bagel, as a girl, push notification will remind you that you have a new bagel waiting for you today, is it very cute? Also different from other Dating App is that CMB only pushes one person per day (of course, if you don't like to pass this person, you often have bonus bagel) and this person can customize it according to your own preferences. I used to like it and OKCupid works together and only looks at Asians on CMB. This app is an entrepreneurial project of three Asian sisters, and it may be because of this reason that I feel very friendly. There is also a capitalized tribute to CMB because I have used this software for half a year, and I have never encountered an artillery. Is it really fresh? And I have met two very favorite boys in CMB. Although they have become the passers-by in my life, they have made me grow a lot, and I want to come and have good memories! Hinge, I dare say you never know that there are so many male gods on Facebook. Hinge is also a famous dating software in the old United States. Like Tinder and CMB, you need to log in via Facebook (the software won't release any information for you), so the software will help you to block out the messy people. Of course, the daily match push is limited for this reason. Interestingly, the "friends of friends" recommended by the App actually have a list of values! The male god grabs a lot, but of course it is very cold. The sister's personal charm is limited and can't hold, so the response rate is relatively low. You need to take the initiative to reach out. You can't be as shy girl and lazy cancer star like me. If you want to succeed in catching a male god, you must take the initiative to attack. I was once friends, Amway, said that friends who have already known have become two pairs on the top. They all married babies and blahblah~ they have done research and found that they have a lot of registered users. They are also famous. They often look up when playing near Westwood in Los Angeles. I saw the building of their family name. The interface is tall, and when I first started using it, I found that Asians can subdivide into Chinese and have a little surprise. It took two hours to seriously fill out all the spaces in the profile. Later, I found that the quality of Chinese above is really drunk, and it is the most expensive dating website ever used. The membership of half a year is more than 200 knives. You ask me why I don't need a free version? Because you don't pay money, you don't want to see photos, you can't send messages without paying money, you can't do it without paying money~! After a few days, I feel that the user experience is not good, and the customer service actually told me that the 7-day trial period can not be refunded! This matter has been torn for half a year in the past... In short, a bad review. It’s really a stranger on Momo. I know that the Momo team is trying very hard to change their image, but the label of the gun only is too deeply rooted. The worst thing is that you can't screen people. I often have my 20-year-old uncle to ask for a contract. I am very polite to refuse but I am said to be pure. I am also drunk and don’t want it. Would you please look in the mirror? I also sent a bank statement directly to say that I want to support me. I don't need to support it. Can you give me a job with sponsor H1B? Also in the country, roaming through the location to my purchase of the iPhone, I am sorry that I am not cheap to buy a mobile phone here. Probably so much, I wish the world has a lover to become a genus.